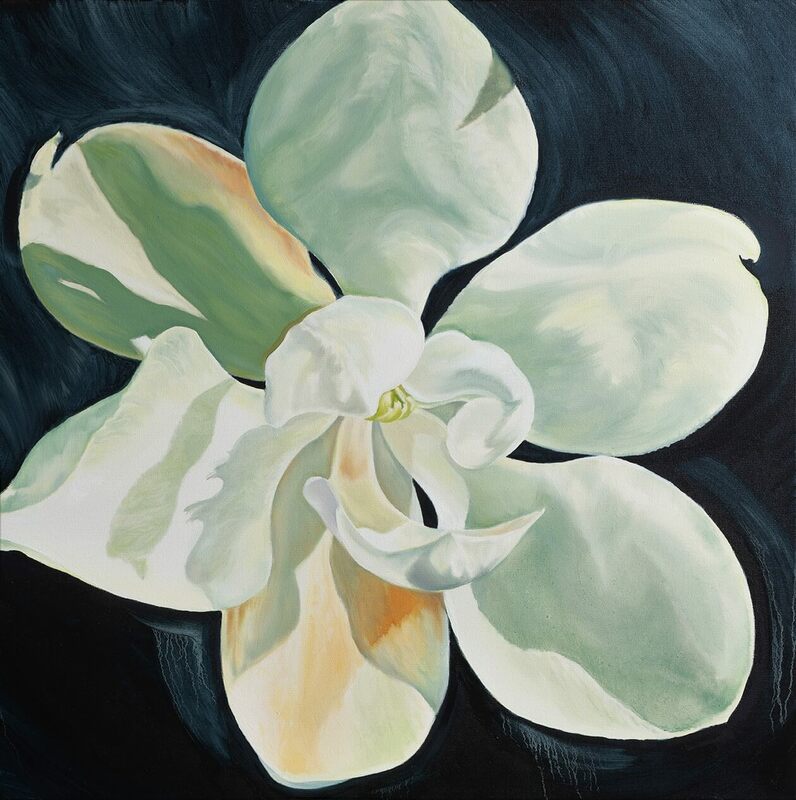 Omaha artist Ann Brugenhemke will continue to spread her “botanical delights” across the Metro landscape with her next exhibit at College of Saint Mary’s Hillmer Art Gallery from Oct. 29th through Dec 14th. After two successful shows, Widespread Flowering at Lauritzen Gardens last spring and Flowerbombs and Other Contrastsat Harvester Artspace in Council Bluffs in 2017, Brugenhemke’s new solo will open Nov. 8th from 5-7 p.m. with paintings and elaborate pastel drawings of floral subjects and the natural world. The artist says much of the art displayed will highlight natural beauty, gripping shapes, and nature’s reflection of human qualities. The exhibit is part of an ongoing initiative at College of Saint Mary to enrich the community through art, encourage dignity of all people, and inspire lifelong learning – all within an inclusive campus environment. Brugenhemke hopes her art will connect visitors with themselves as well as inspire a deeper appreciation for all life. Brugenhemke holds a Bachelor in Fine Arts, with her thesis in painting, from University of Nebraska – Omaha. The exhibit is open to the public and will take place in College of Saint Mary’s Hillmer Art Gallery. Food and drinks will be available at the opening reception on Nov. 8th.